“Spellbound” challenger (“utmanare”) on Svensktoppen! My last couple of posts have been about my latest single “Spellbound” (release post here, gala premiere report here, official video premiere here). But now on Christmas Eve there’s even more to report! If there’s one chart that’s classic in Sweden it’s ”Svensktoppen” (“The top of Sweden”). As Swedish Radio P4 puts it (in my own improvable translation): “This is where you’ll hear the Swedish songwriter’s music, international as well as national hits in any language. The chart is voted by a statistically chosen jury and is one of the most important benchmarks of Swedish music”. In any case, the list has existed since 1962. And through the years all big Swedish artists have appeared, all the way from Lasse Lönndahl (who by the way once heard me entertaining at an after-ski in Björkliden up in the Swedish mountains), Lill-Babs, and Sven-Bertil Taube via ABBA and Per Gessle (of Roxette fame) and recently Laleh, First Aid Kit, and Robyn. Tomorrow Sunday, yes on Christmas Day(! ), the ELO influenced song I wrote together with Jimmy Lagnefors for the movie Flykten till Framtiden after the brief from the director Ulf Malmros will be one of three ”challengers” (”utmanare” in Swedish). Not being quite a house-hold name in Sweden (yet!?) it will obvioulsy be difficult for me to “kick out” national legends like Benny Andersson (of ABBA fame!) and his orchestra , Magnus Uggla and new international star Zara Larsson. Things are not made easier by the fact that the two other challengers Nisse Hellberg and Cajsa-Stina Åkerström both are well-known names with great new songs (Cajsa-Stina’s song is produced by my friend and highly respected colleague Peter Kvint who I’ve talked about here and here). Funny anecdote: My good friend, Andreas Dahlbäck, who plays drums on ”Spellbound” (and who also played drums on my debut album Soundshine), actually plays on both ”Spellbound” and both the other challengers’ songs. For the last few years I’ve always talked about him as one of the key people in the Swedish recording business, and this certainly proves my point. Who knows what the verdict from the jury, consisting of 500 people supposedly representative for the Swedish people as a whole, will be. But in any case – no matter what happens after Sunday – I will definitely remember this as a ”mile stone” in my career. Or is it rather just a ”stepping stone”…? Time will tell! My heartfelt thanks to Ulf Malmros for making a great movie that partly takes place in 1973 and therefore had the good taste of requesting an ELO song, to my close friend, Jimmy Lagnefors who invited me in on the opportunity to write the song (something I talk more about in this Hooks & Harmony interview and in this radio inteveiw with Hawaii radio show Time Machine). Happy Xmas – War if Over!!! Let us have a Wonderful Christmastime! 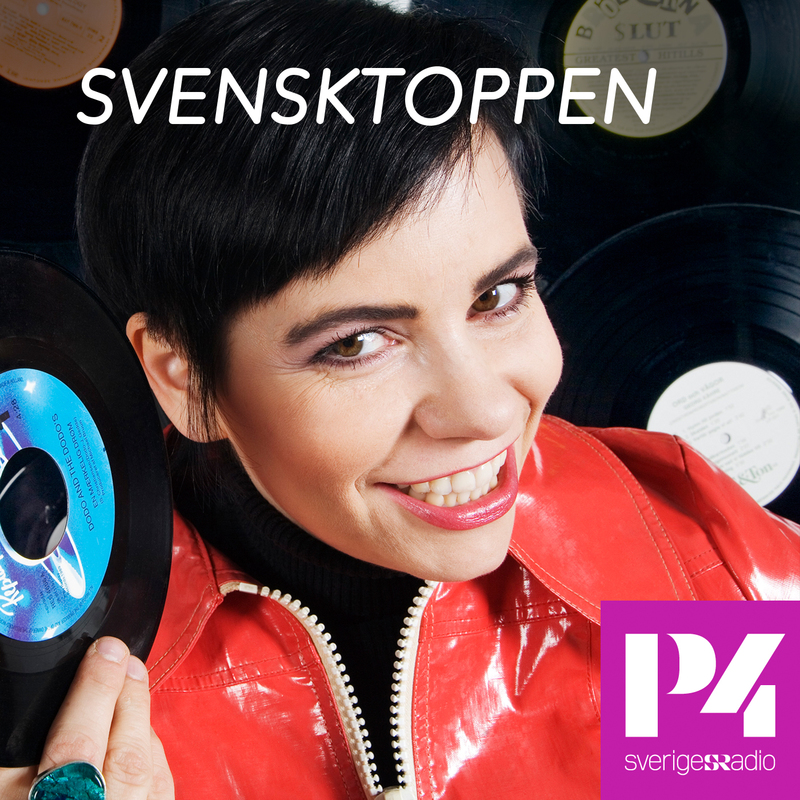 From Wikipedia: Svensktoppen (Swedish: [²svɛnskˌtɔpːɛn]) is a weekly record chart airing at Sveriges Radio. Until January 2003, the songs had to be in the Swedish language. Svensktoppen has aired since 1962, except for the years 1982-1985. The last years before the January 2003 change, the programme was strongly dominated by dansband music. 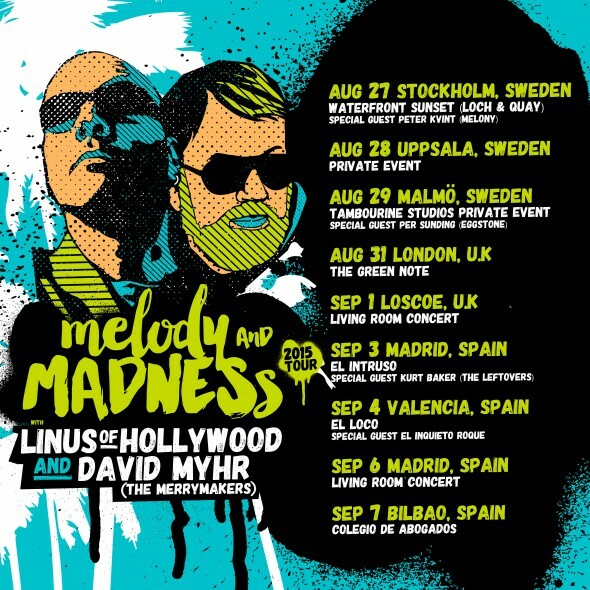 Coming up soon: The Melody and Madness tour! In a few days I will be going on tour through three countries together with my friend, artist and songwriter colleague Linus of Hollywood! 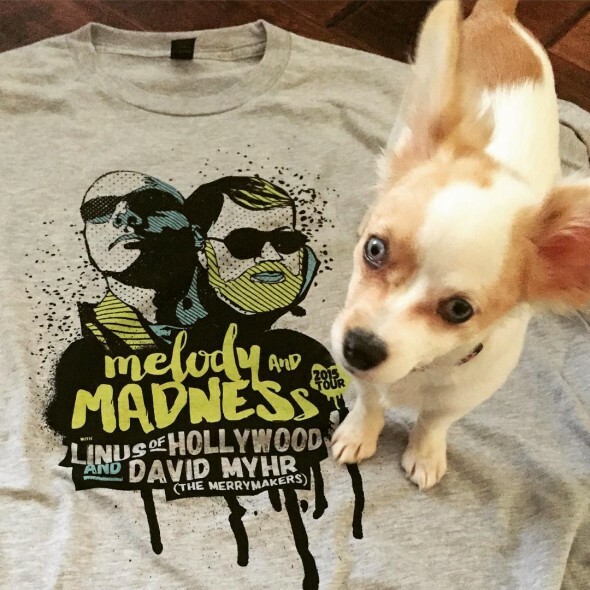 We call it the Melody and Madness tour 2015 (webpage here and Facebook-page here). It’s going to be an acoustic night of melodic pop where we play songs from our respective solo catalogues but also stuff from our former bands The Merrymakers and Size 14 as well as some carefully and lovingly selected cover songs. One of which is Badfinger’s “Come and Get it” (written by McCartney) that will be included on the very exclusive CD-single that we’ll be selling on the tour. (There will also be an exclusive T-shirt for sale – see photo below). On some of the nights we will have distinguished guests joining us on stage, like Peter Kvint (ex-Melony), Per Sunding (ex-Eggstone), Kurt Baker, and El Inquieto Roque. Aug 27 – Stockholm, Sweden – Waterfront Sunset (Loch & Quay) – feat. Peter Kvint (Melony) – FREE SHOW! (FB event here). Aug 29 – Malmö, Sweden – Tambourine Studios – PRIVATE EVENT – email us at lohcontact@gmail.com if you would like to attend and we’ll see what we can do! Aug 31 – London, U.K – The Green Note – TICKETS AVAILABLE HERE (FB event here). Sep 1 – Loscoe, U.K – living Room concert TICKETS AVAILABLE HERE (FB event here). We hope to see you out there! It’ll be fun! Please help us spreading the word! Thanks! It’s time to say goodbye to the year of 2012 and I want to do it by saying thank you to all you wonderful people who have been involved in one way or another in the events surrounding the release of my solo debut album Soundshine. To do so I have put together a four minute long slide show that will take you through memorable moments from recording sessions in Stockholm and at Abbey Road in London to gigs in Tokyo, Osaka, Madrid, Burgos, London, Stockholm, and Piteå. But more importantly it shows some of all the great meetings I’ve had with music lovers, music colleagues, fans, friends, family, band mates, record label and music publishing people, and a couple of idols as well. The soundtrack consists of a medley of all the songs on Soundshine in a “don’t bore us – get to the chorus” fashion. The photos were taken by among others Amy Campbell, Paula and Carol Muñoz Macaya, Kiki Fukuzumi, Jonas Förare, but also by many more… thanks! So, from the bottom of my heart – thank you to each and everyone who has supported the release of Soundshine (and that includes all of you who didn’t end up in the slide show as well)! Hope to see you all again in a not too distant future! “Live at PDOL” – concert video premiere! 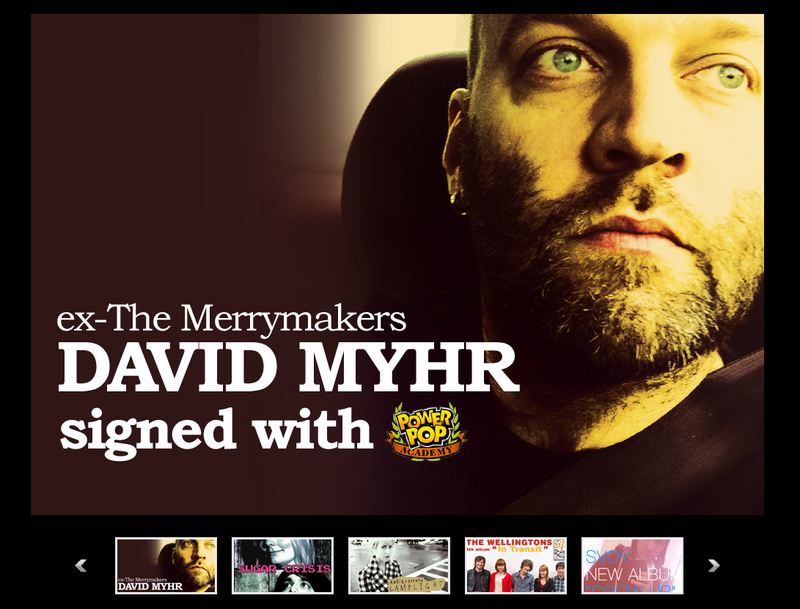 Posted: September 27th, 2012 | Author: David | Filed under: post | Tags: concert, david myhr, gatusfestival, jellyfish, konsert, live, merrymakers, pdol, piteå, piteå dansar och ler, popsicle, power pop, soundshine, swedish pop | Comments Off on “Live at PDOL” – concert video premiere! which is Swedish for “Piteå dances and smiles”). It’s an annual street festival in my former home town Piteåway up north in Sweden which usually gather at least some 25,000 visitors. For the occasion I used the same backing band as I did on my premiere show in Piteå earlier the same year. Andreas Dahlbäck on drums who also played drums on the album and acted as my sounding board in the recording process which led to me entitling him “co-producer” of the album. Robert van der Zwan (Poplabbet) and Krille Eriksson played guitars, Erik Jonsson (The Fix) played bass, and Joel Sjödin (Mankind) played keyboards. An amazing backing group if you ask me. Furthermore we were joined on two songs by the horn section Horny Minds from local blues heroes Ramblin’ Minds, and last but not least we were honored to have one of the finest Swedish current female pop artists around… Edith Backlund! I have played at this festival a few times before over the last twenty years, both with the Merrymakers in the 90’s, not to mention our short “revival” in 2007, and also at reunions of my early bands from my youth (Ant-Mansson and 2nd Hand B band). I’ve also played there with the ABBA tribute band Super Trouper in which I play the part of Benny Andersson. However, this was the first time that I entered the main stage of the festival, and what’s more as a solo artist. In that sense it was kind of a big moment for me so I decided to document it properly which included renting a multi-track recorder and hire a film crew. Therefore, I am now very pleased to be able to share this live experience and fond memory with anyone, anywhere, who might be interested. The 47 minute film documents not only the entire show including all the talk between the songs (subtitled in English – only for you! ), but also a little bit of life back stage including the nervous artist only seconds before going on stage and the after show hugs while the credits are running to the soundtrack of the re-mix of Looking for a life. And hopefully one day I’ll be able to bring the band, come to YOUR town and play IRL! Dear followers of the development of my solo debut album Soundshine scheduled for release in the fall of 2011. Today May 27 is a somewhat historic day – at least for me and for my album! I am very happy to announce that the album will be finished later today! Exactly one year and three days after the initial recordings took place in Stockholm. As I’m writing this I’m sitting back in a sofa enjoying the finished recordings in a mastering room at nothing less than ABBEY ROAD studios! 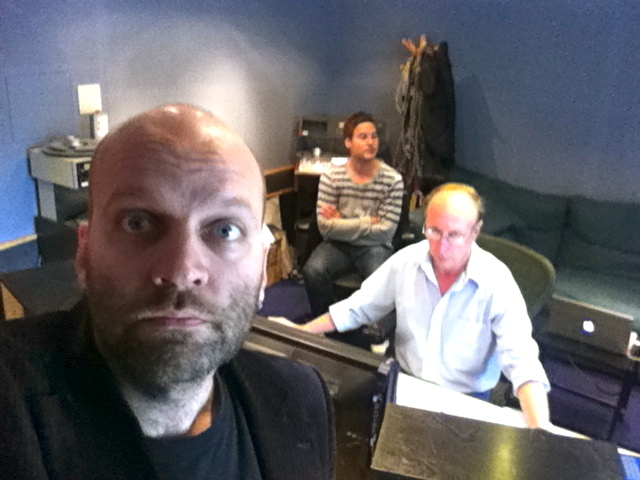 Together with Steve Rooke, senior mastering engineer here at Abbey Road and my mixing engineer Marcus Black we’re going through all the songs on the album one by one giving them the last final touch. Later we will be joined by my wife Paula who is so far the only honorary (or should I say just only?) member of my fan club. For me as a die-hard follower of the Beatles since childhood it’s of course a very special feeling to be on the actual inside the world’s most famous studio complex. The studio where all the Beatles albums were recorded! I’ve been outside a few times before in my life. Doing the famous walk over the zebra crossing of course – but was never before allowed to actually enter until today when I am here as a client. But as always – the building is one thing – the equipment another – but in the end it’s the ears of people who has been around that you’re paying for. And to say Steve Rooke has been around is an understatement. He has been working here since 1983 and was part of the team doing the Beatles remasters that was released in 2009 and has re-mastered albums by all the four Beatles solo catalogues and has also mastered albums by many other artists from David Bowie to the Cure. So I figured – if it worked for the Beatles it should work for me as well! Steve is tapping his foot and seem to be enjoying his working day and is giving thumbs up to both the songs and the mixes which of course is making me and Marcus proud and happy! Abbey Road studios is still a very active commercially functioning studio and for instance today there’s going to be strings recorded for the last Harry Potter movie down in the enormous Studio 1. The same studio where the Beatles recorded “All you need is love” which was broadcasted to the world back in 1967. Marcus and I got here early today so we could enjoy a proper English breakfast in the canteen and just “by accident” we managed to sneak into both Studio 1 and Studio 2 which was the main studio for the Beatles all the way from 1962-1970. A memory that will definitely last a lunchtime! I hope to be able to make a small video blog from this visit later that will be up on my YouTube channel but for now please enjoy a picture from the inside of mastering room no 7 at Abbey Road Studios. Don’t forget to check back on June 1st for the premiere of my new single and video “Looking for a life”.